Licensed in Kentucky and Indiana, headquartered in Middletown, 40243, Metro1 serve investors, buyers and sellers in Louisville Kentucky and the surrounding areas, including Jefferson, Oldham, Shelby and Bullitt counties in Kentucky, and Clark and Jefferson Counties in Indiana. Service: Because Metro1 is lazer focused on being a first adapter to cutting edge technology, we are able to provide boutique service at reduced cost, giving you those important “extras” at no additional charge. Metro1 Realty has been selected as the MD preferred real estate brokerage for physicians in the Louisville Kentucky market. We are sensative to the special needs of physicians and the time constraints under which they work. We have partnered with other professionals such as attorneys, accountants etc to create a convenient resource to cater to their needs. 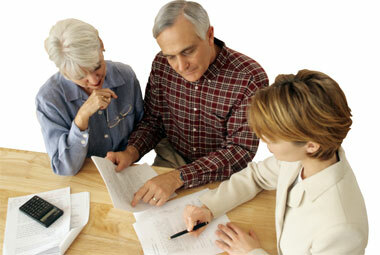 Metro1 recognises that seniors are an important and growing segment of the Louisville real estate market. We and our partners offer valuable advice on reverse mortgages, tax planning and the other ramifications of selling their homes. Buyers: Register for our “Flash Alert®” to be informed by automated email of new listings. Qualify for our pre-listing exclusive first look at homes not yet on the market! FHA, VA, USDA Rural and conventional loans and owner financing options (including lease option, lease purchase, contract for deed, owner mortgage, financing with the deed and without the deed) and loans accommodated and explained. Get the tax ramifications of certain types of owner financing. Creative financing methods used to fit you into the right loan or financing product. There are many ways to buy a house, even if you’ve been turned down before, we say yes! First time home buyer grants or down payment assistance (dap) from private and public non-governmental lenders, and governmental sources! First time home buyers watch our video presentation. Use our mortgage calculators to calculate how much a lender will lend, rent v buying calculation (buying is not always the correct decision!) Knowledge is power – be informed! Find out the true loan costs of your loan and home ownership, how to check a closing statement (HUD 1) for errors, and more…. Contact us for a one on one explanation of your home buyer rights, the 7 deadly sins to avoid when buying a house, and for a detailed explanation of the home buyer issues raised in the first time home buyer video. Metro1 Realty is headquartered in Middletown, Kentucky, 40243. To submit a question or look for advice on a number of real estate questions, go to our blog or our Asked, We Answered column and follow us on the social media, where you will sometimes find fantastic bargains. Investors and savvy buyers take note: Metro1 is a source for real estate deals – we recently sold a house at 50% of it’s previous appraised value. Sellers: High tech marketing including Google-powered syndication, cooperative handshake agreements with our real estate agent colleagues throughout Kentucky and Indiana, thorough market research and analysis, trend reports, accurate pricing, single property websites (see an example), great communication including phone 502-254-9600, text 502-439-2826, email, video webcam with Skype, Tokbox, and Google-talk. Foreclosure Prevention: Metro1 is fully MARS compliant and works either on its own or through an experienced real estate, foreclosure and bankruptcy attorney, providing solutions for preventing and solving foreclosure issues including home retention, short sale, loan modification and many other solutions. Stay in your home or sell, you chose. Watch our bankruptcy video, explaining how short sales and bankruptcy work together to provide a solution, if needed. $3,000 Cash for Keys, HAMP, HAFA expertise. Metro1 Realty helps investors, buyers and sellers of homes and commercial properties in Louisville, Kentucky and the surrounding areas, including Jefferson, Oldham, Shelby and Bullitt counties. We also work in Indiana. Whether you are in the market to buy a house or selling your existing home, Metro1 Realty has the experience and expertise to get the job done fast! Our mission is to set the highest standard of excellence and to exceed our clients expectations with excellent service with integrity. We will be with you every step of the way to ensure no detail is overlooked with a sure process from contract to closing. Our website has been designed with you in mind. We have provided real estate relocation guides, MLS search tools, and a variety of FHA, VA and conventional mortgage calculators and many articles and pamphlets to help ensure you make the right buying and selling decision. Please visit our different pages to being your search. If you have questions, visit our “You asked, We answered” page, submit a question, text to 502-439-2826 or call us at 502-254-9600 or email us at Neil@Metro1Realty.com. We look forward in assisting you with all of your Louisville Real Estate needs.